Stately brick home quietly located on historic Longitude Lane. 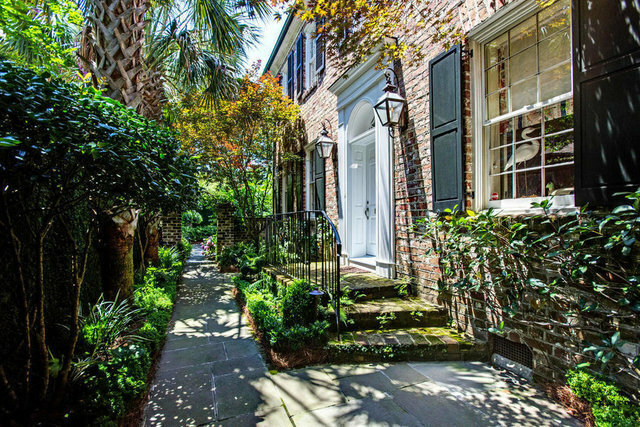 Steps from the high Battery but tucked away privately, surrounded by the high garden walls of 18th century Charleston.This 1950's era colonial home has been lovingly updated and offers historic details like heart pine floors and a beautifully created ''drawing room,'' retro fitted with 1820's woodwork. Professionally designed garden and a grand garden terrace make this home the perfect setting for gardening or entertaining. The floor plan gives you the option of formal and informal space, kitchen and baths all updated. The second floor master is generous, offering southern views of surrounding gardens and rooftops.Turnkey, masonry, high elevation with no history of flooding. Even a garage, room for a pool, if desired.